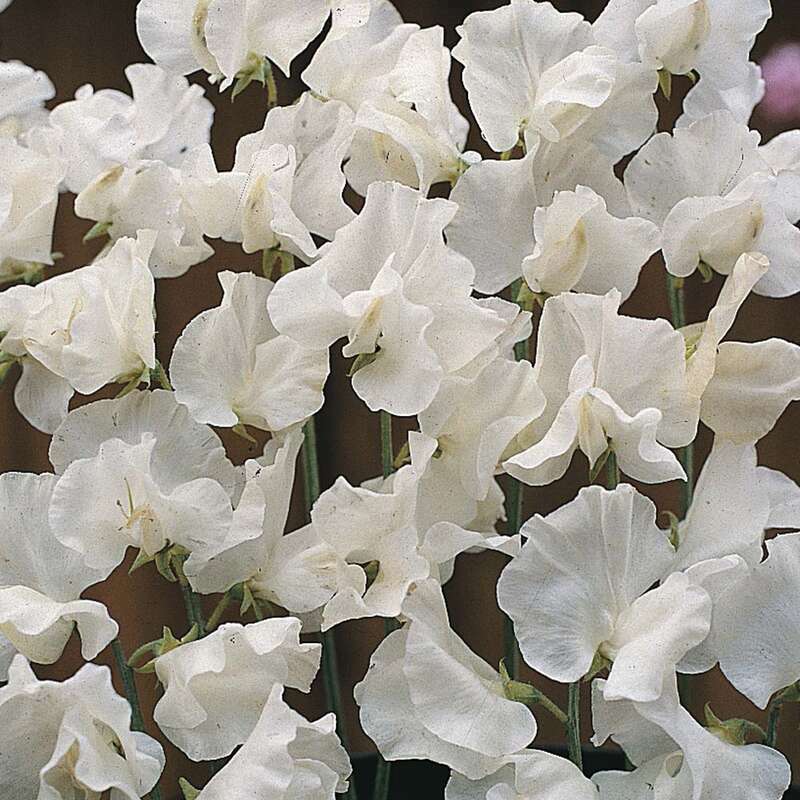 With its bold, beautifully formed flowers and excellent vigour, Sweet Pea 'White Supreme' is one of the best pure white varieties. The strong growing plants produce an abundance of 4 and 5 flowered, pure white sprays on long stems that are ideal for cutting. This elegant RHS AGM variety makes a striking exhibit on the show bench that will fill the air with rich sweet fragrance.